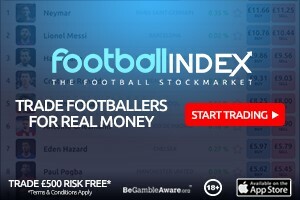 The average score of the managers in GW24 was 50 taking into account point deductions for extra transfers. That’s compared to the game average of 42. That’s 8 points and 19% above the game average score. High score of the 10 was 61. The low score was 38. A spread of 23 even for a low scoring gameweek. The average overall rank of the top 10 FPL managers is 34k an improvement of rank from last week of 42k. The best overall rank is now around the top 100 and the lowest 87k. The top 10k captain choice (from the excellent free site FPL discovery) was 86% Salah and 6% Aubameyang. The FFGeek poll this time was in the general area. 7 of the 10 managers made a transfer. 1 has used their wildcard previously as I said above. 1 manager took a 4 point deduction for an extra transfer. So that’s 6 essentials and 3 maybes. This leaves room for 7 differentials/bench two pointers. Of the template/Essential players he has 7 of the 9. 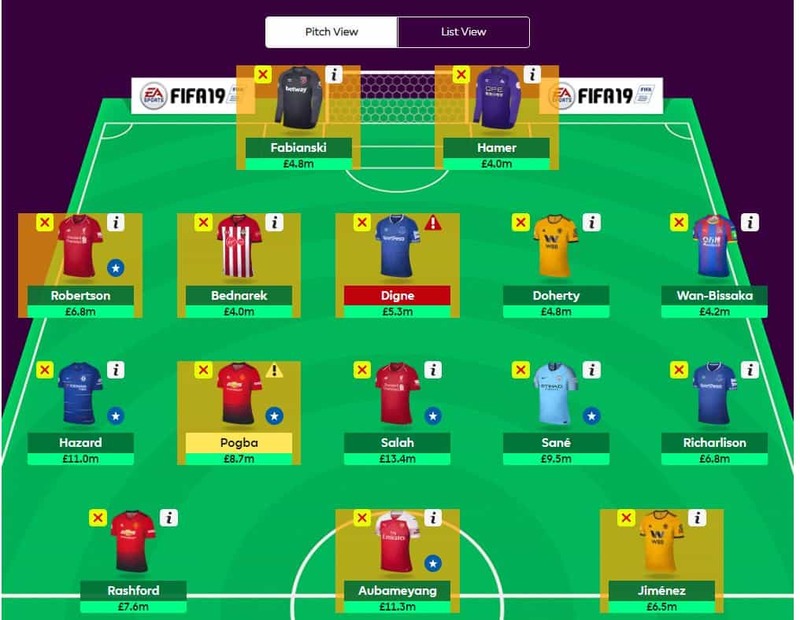 His template replacements are Luiz for the Liverpool defence and Son for Richarlison. He came out about even on those in GW24. His differentials are Snodgrass, Hazard and Fabianski. None of these did anything. 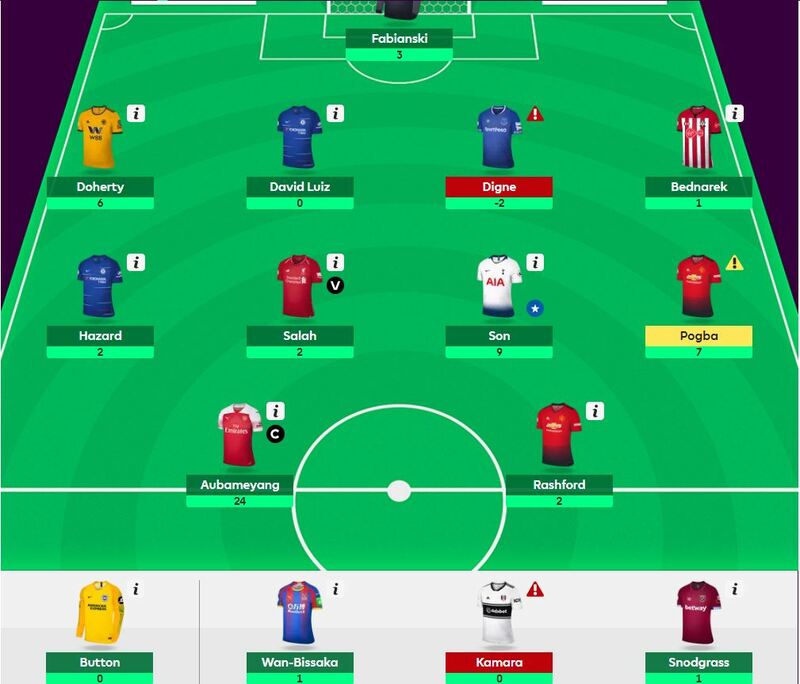 A good gameweek was made by the captain choice which gave him an extra 20 points over the favourite pick of Salah which is the reason for his 10k OR rise. Just like to point out that it is a little misleading to suggest that the manager you profiled in this article gained an extra 20 points picking Auba over Salah as captain. He only gained an extra 10. He gained 20 points only on those teams who captained Salah but did not have Auba. And in that case we cant say if it was in fact a 20 point gain as we dont know who those teams had as an alternative. You make a good point and I appreciate you pointing it out. Any thoughts on whether bringing in a City asset for the recently confirmed DGW might be worthwhile? Thinking of possibly upgrading Anderson given his 5 consecutive blanks. Upgrading Anderson looks a shrewd move regardless of a DGW… he is gone off the boil.